Goodwood Festival of Speed has hosted a number of public debuts of sports cars, from the Nissan GT-R50 to the Toyota Supra. We knew those were coming, though. What we weren't expecting was for little British company Noble to show off a brand-new sports car called the Noble M500. It's certainly a handsome-looking car, and it's not as brutal as the the M600, a car that is all flat planes, sharp corners and protruding air scoops. This is a more organic design, and everything looks better integrated — though it does risk looking more generic than the M600. Another fun detail: It appears to have the headlights from the C7 Corvette. They work surprisingly well on the Noble. As the company says in its tweet, the M500 is not a replacement for the M600, but rather a more entry-level, approachable complement to the 660-horsepower, twin-turbo V8 monster. That's not to say the M500 will be slow, though. According to Autocar, the M500 has a 550-horsepower version of the twin-turbocharged V6 Ford uses in the Ford GT. 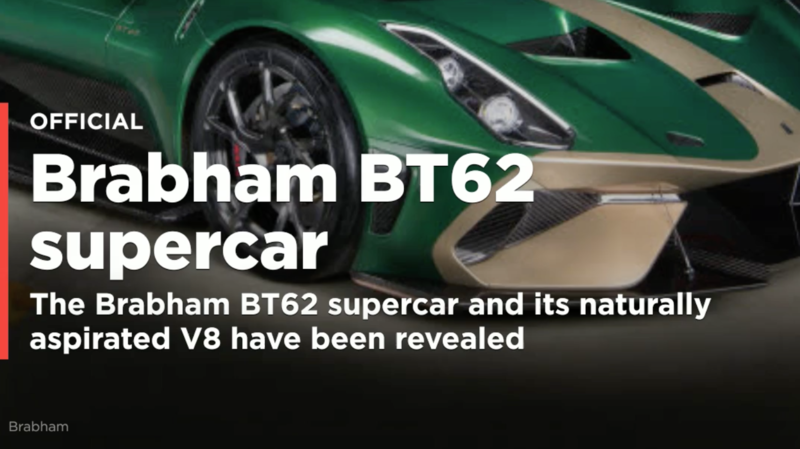 The news outlet goes on to say the engine will be attached to a dual-clutch transmission, and the whole body will be made from fiberglass. We expect to have more photos and details on the car in the near future.